When most people think of anger, they think of negative energy and unpleasant feelings. You don’t have to view this emotion in an undesirable light, though. If you’ve been conditioned to hide your anger since you were a child, you aren’t alone. From movies and books to religious teachings to lessons from your parents and elders, anger is considered a negative emotion. In many cases, this view stems from the belief that this emotion can quickly spiral out of control. What might begin as anger could rapidly become fury, rage, and even hatred. In some extreme scenarios, this feeling could even cause you to become destructive. As you've likely learned, anger is an emotion that isn’t widely accepted. Most people learn to suppress it in order to get along in all areas of life, from romantic relationships to professional environments. This may have short-term benefits, but it also has long-term consequences that include reducing the impact of all of your emotions. While hiding your anger can help you fit in and appear more pleasant, this isn’t always the right course of action. Instead of suppressing your feelings of irritation, annoyance, or even rage, give yourself the chance to explore them instead. First, remember that exploring and expressing emotion aren’t the same thing. Just because you’re giving yourself the chance to process your anger doesn’t mean you should also allow yourself to say or do anything you’ll regret later. To learn more about why you feel annoyed or irritated, learn to identify the initial signals of your anger. Rather than hide them away and smooth over the situation, give yourself permission to trace each disturbance back to its very beginnings. Try talking with a telephone psychic to tease out even more meaning from each angry flare-up. You might be surprised at just how much you discover about why you feel the way you do. Once you gain a better understanding of what makes you angry, you can begin to make impactful changes. 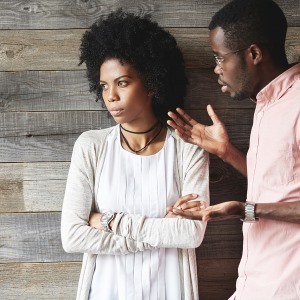 You may discover that your irritated reaction to your partner’s annoying habit of talking over you stems from a greater need for validation and acceptance. Instead of denying this desire and allowing the anger to build over time, you can voice it in a rational manner and change your relationship dynamic for the better. As you move forward with your exploration, you’re bound to uncover even more about how your limiting beliefs prevent you from achieving everything you want in life. By tracing your feelings back to their origins, you can better understand your motivations and how to improve the outcome of each situation. Exploring your anger isn’t always an easy road to take, but talking it over with an online psychic can make the process much easier. Once you commit to this emotional exploration, you’ll gain much-needed insight into your desires and learn how to improve relationships with virtually everyone around you.